Why Focus on Women and Girls with ASD? ACT’s 2018 Focus on Research Conference provided two days of fascinating insights into the complexities of identifying and treating women and girls with autism. Researchers are increasingly recognizing that autism affects women and girls differently than males. Delays in diagnosis are common, reducing access to services, with implications for long-term mental health and employment prospects. These presentations feature recent research, with a focus on the experience and perspectives of women and girls with autism. This panel presentation, introduced and moderated by Dr. Anthony Bailey, Chair of Adolescent and Child Psychiatry, University of British Columbia, provides varied insights into the need to better research the needs of women and girls with autism. 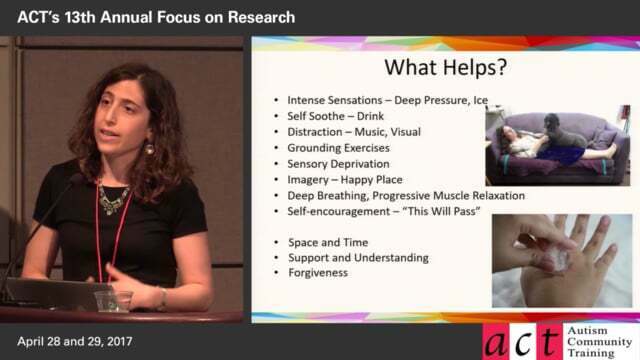 In this presentation, Dr. Jamison and Dr. Oeth Schuttler explain the development of Girls Night Out, with emphasis on the importance of embedding programs within the community and during activities that foster social or self-care care skills. This presentation focuses on research on the possible secondary impact on females with autism due to the discrepancy in diagnosis rates with males, with concern for social-communication impairments and increasing risk for co-occurring mental health conditions. This panel presentation and discussion provides a rare opportunity to better understand the perspective of autistic mothers who also have children with autism. Introduced and moderated by Dr. Grace Iarocci. In this talk, Dr. Mandy provides a developmental perspective on the characteristics of autism in females; an in depth look into the implications of the widespread practice by women and girls of “social camouflaging” their autism; their mental health needs – with a focus on eating disorders. 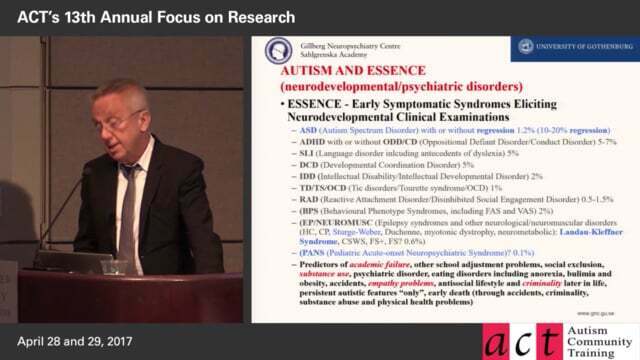 In this thought provoking presentation, Dr. William Mandy shares his research into the characteristics of autism in females, the implications for diagnosis, and ways of improving recognition, with a focus on practical ways of improving clinical and educational practice. Girls and women with autism are often hard to identify due to their polished rote social skills and internalized ASD characteristics. Dori Zener's presentation will teach the audience how to adapt clinical practice to address the needs of women on the spectrum. Professor Christopher Gillberg discusses the onset of eating disorders, which tend to affect girls and women rather than boys and men, usually begins in puberty or early adult life, but in many cases it has been preceded by early onset neurodevelopmental problems, including ASD and ADHD. The video production of this learning stream on women and girls with autism has been sponsored by the Centre for Interdisciplinary Reesarch and Collaboration in Autism (CIRCA) at the University of British Columbia.